All the bookworms out there, what's your take on American author Amor Towles' novel "A Gentleman In Moscow? 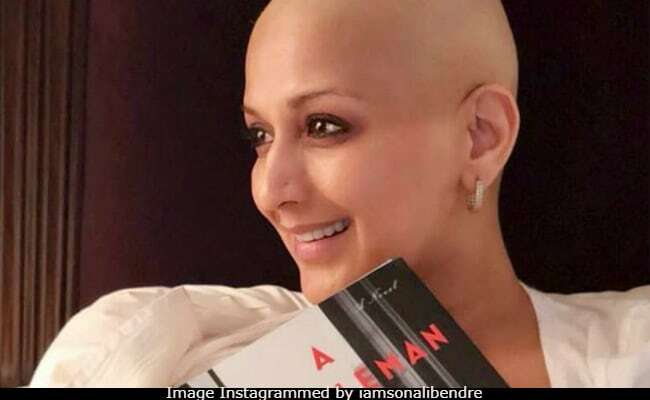 For those who have read the book and for those who haven't, the book must be on your list of must-reads, says actress Sonali Bendre, who is currently battling cancer miles away from home. Sonali Bendre, who started a digital book club named Sonali's Book Club last year, just announced that the piece of historical fiction has been zeroed in to be discussed in the next session of her book club meet. "Today is #ReadABookDay and what better way to celebrate it than by announcing the next book for #SBC! This one is a historical fiction set in Russia called "A Gentleman In Moscow" by @amortowles. The premise sounds pretty interesting, and I can't wait to start reading it! #SonalisBookClub (sic)," the 43-year-old actress wrote on Instagram. Sonali Bendre, who just a day ago wrote about wearing a wig for her "new look", currently appear to be undergoing her chemotherapy sessions. While she posted a photo of hers with the book, with her head shaven clean, the comments section is flooded with words of encouragement, hoping for her speedy recovery. "Happy to see you, bold lady having a lot of strength, will power and dare to tell the rest of world. Get well soon," read a comment while another added: "So beautiful... Wearing that strong smile is making you stronger everyday... Wish you all the luck ma'am." Last month, Sonali's best friends Dia Mirza, Sussanne Khan and Gayatri Joshi had taken over for her and organised a conversation which was live streamed on Sonali's Facebook profile. Sonali's Book Club recently focussed on the international bestseller Crazy Rich Asians in a previous session. Sonali Bendre debuted as an author with The Modern Gurukul: My Experiments With Parenting in 2015. Previously, the actress is known to have organised interactive sessions between coming-of-age authors and millennial readers through her book club. Authors like Ravi Subramanium, Anand Neelakantan, Amish Tripathi, Preeti Shenoy and Rashmi Bansal have been part of her book club activities online. On Wednesday, Sonali Bendre credited Priyanka Chopra for introducing her to the stylist, who helped her style her new look. "Who doesn't like looking good? The way we look has a profound psychological impact on us... A little vanity here and there does no one any harm," wrote Sonali, who sports a wig in the photos. "Vanity is my favourite sin." - Al Pacino Well, it might not be my all-time favourite sin (that would be gluttony), but who doesn't like looking good? The way we look has a profound psychological impact on us... A little vanity here and there does no one any harm. It's important to do what makes you happy, even if it's something as simple as wearing a wig, bright red lipstick, high heels.... All that white noise doesn't make a difference in the larger picture. No one can tell you what's right or wrong for you. When I was testing out the wigs, I had a brief moment of self-doubt... "Am I vain for wanting to look good?" As part of the entertainment industry, you're always expected to look good... Maybe that has been ingrained in me? But then I gave it a thought and I realized I like looking good for me. If I'm in the mood to wear a scarf, I will. If I want to walk around bald and free, I will. Only you know what would make you feel good, and what works best for you. So take every opportunity you can to #SwitchOnTheSunshine. #OneDayAtATime Thank you @priyankachopra for connecting me with the amazing @bokheehair, who created my new look. Sonali Bendre announced she's been diagnosed with metastatic cancer in the first week of July and that she's flown to the Big Apple for treatment. Sonali, who shared how the brave accounts of cancer survivors have been keeping her motivated to remain hopeful, has been keeping her followers updated on social media. Goldie Behl also tweeted about her health condition last month. Sonali Bendre has worked with the three Khans of Bollywood and is best known for films like Sarfarosh, Hum Saath Saath Hain and Duplicate. She was seen in a full length role in Chiranjeevi's 2004 film Shankar Dada MBBS.